The Swedes have had a fondness for porter since at least 1780, when the Swedish botanist Bengt Bergius claimed that in Sweden “a lot of English beer varieties have started to be seen on some of the wealthy tables, especially English porter, which is now brewed as good here in Stockholm.” Nothing seems to be known about who might have been brewing porter in Stockholm at that time, but nine years later a Scot called William Knox opened a porter brewery in Gothenburg, on Sweden’s west coast. 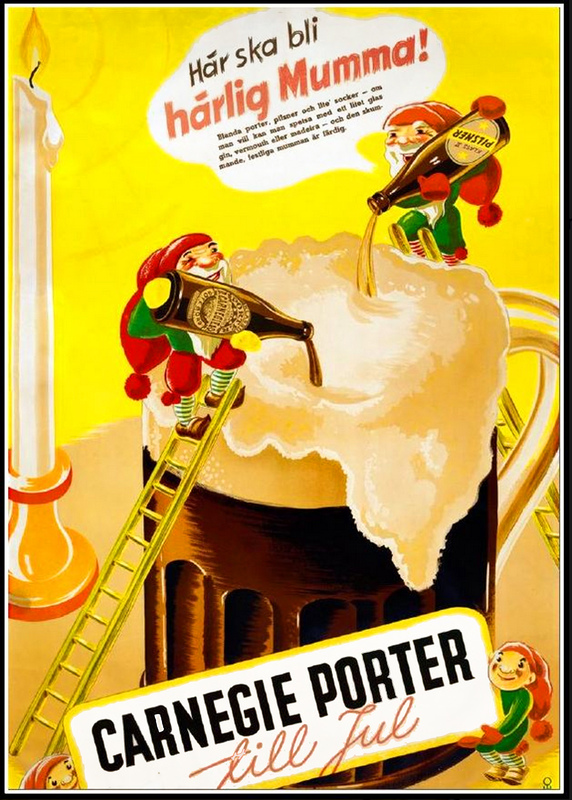 There were several other small porter brewers in the town over the following decades, but in 1817 a trader from Hamburg, Abraham Lorent, opened what would become the country’s biggest and most successful porter brewery in Klippan, on the edge of Gothenburg. Lorent died in 1833, and after a tricky few years the brewery was bought in 1836 by another Scot, David Carnegie. The Gothenburg brewery eventually closed in 1979, but Carnegie porter is still brewed today in Falkenburg, about 60 miles south of where it was born. Here are three recipes for Mumma, should you wish to have a go yourself: plenty of others can be found on the interwebs, though watch out for Google Translate: confused by etymology, perhaps, it seems to think that “porter” in Swedish means “gates” in English, and “lager” means “stock”. Put the sugar into a jug and pour in the sherry. Stir until the sugar dissolves. Pour in lager, stout or porter and sugar drink. Grind the cardamom, mix in a jug with the honey and a splash of water. Heat in a microwave or saucepan so that the honey becomes runny. Pour the Madeira into a pitcher and add the cardamom and honey. 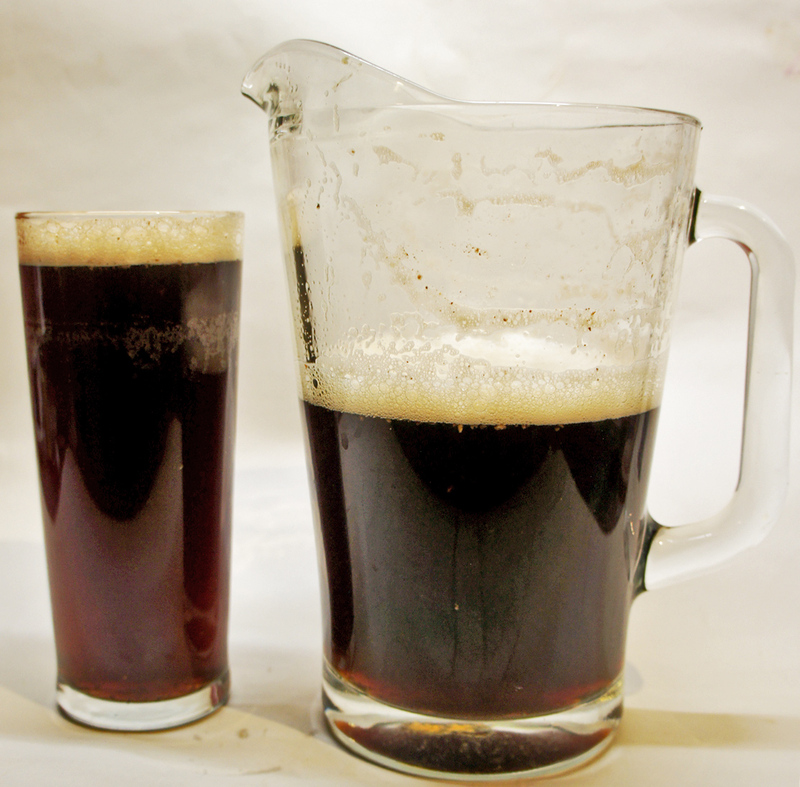 Pour the lager and porter into the pitcher, carefully, as it easily foams. Lightly stir around with a spoon. Serve ice cold. Add Madeira, find a mug. Put some lemonade and gin into it too. Mumma! Ooh, it’s so good it made me cry. I think I’ll make this drink again tomorrow! How nice to see an article about Mumma! I mixed my second jug a couple of hours ago (actually the first was for testing with a business group a month ago…) and drank it to the Swedish Christmas smorgasbord. There is lots of different family blends around, or at least it was, Mumma is a bit out of fashion, I am afraid to say. In my research the most common base is two parts Carnegie Porter, until the last 20 year there was no common alternative available, in taste it’s a bit like Fullers London Porter, slightly more malty and sweeter. One quarter beer, in some a Christmas beer, in Sweden normally much like a German dunkel, but in most recipes a normal lager. Personally, to make it more less sweet I prefer a bitter pils like Pilsner Urquell. And then one quarter lemonade, never soda water. Most common is a variant called “Sockerdricka” sugardrink, yes, it’s sweet but not that sweet. It’s like a bit less fruiter variant of Sprite or 7-up, in my recipe I use Pommac a 100-year old lemonade based on apple and grapes, a bit dryer and more mature in taste. This makes the base and is a nice drink as it is. But as in your recipes it is common to add some strong wine, sherry or more often madeira. Some stronger alcohol, like vodka, brandy or most popular, gin, is also commonly added in a smaller quantity. A little spicing with cardamom is also common. Probably a mistake from the beginning, as the Swedish name for it is kardemumma. But its name is not from kardemumma but as you write, from the German Mumme beer. 500 ml Fullers London Porter, 250 ml Pilsner Urquell, 250 ml Sprite, 120 ml Madeira (not to sweet), 40 ml Gin, 1 ml ground cardamom. Mix cardamom, madeira with gin in a large jug and let it wait half an hour or so. Ad the beer and lemonade chilled and serve. No Abba with your Swedish beer drink? Mumma Mia! Here we go again! My, my, how could I resist it?